This '67 Camaro Street Machine Is A Super Cool Modified Masterpiece! This ’67 Camaro Street Machine Is A Super Cool Modified Masterpiece! It really never gets old checking out modified vehicles. It is always great to see the interesting spins people put on old and new cars. In this video we join Scottie D at the World of Wheels event in Birmingham where he has his eyes set on one finely modified 1967 Camaro Street Machine. 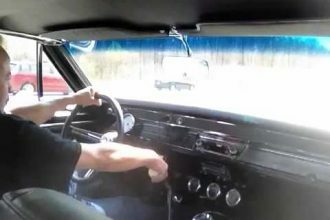 Scottie had been wanting to film this car ever since he saw it at Steve Holcomb Pro Auto Custom Interiors and he finely got his chance to get it on film and he wastes no time. It is easy to understand as soon as you see it why Scottie was so excited. Click below to check out the full overview and walk around! 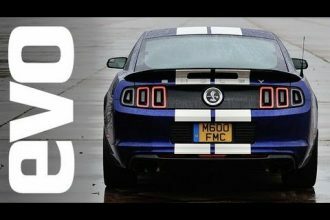 Shelby GT500 Mustang Dominated The Race! 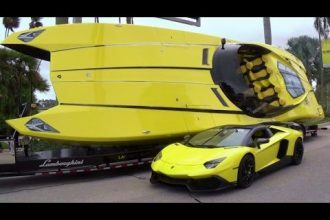 Check Out This Amazing Lamborghini Speedboat With Amazing Power!